Bedtime at our house has a new development - MG is suddenly "very scared of the dark". Yup, it's true and I can't blame her. So one emergency run to Walgreens for a nightlight (fiber optic with butterflies & flowers mind you), the hall light on and lots of sweet talking, later and she's still not convinced. Nope, she wants to sleep clinging to daddy's mega huge contractor flashlight. You know, the kind that you could knock out an intruder with if you were feeling inclined! Sorry folks, there'll be no Crafty Kids this weekend ... I ran out of time because I was lucky enough to spend some time with old friends. Thanks Bettina for coming to town and getting us all together. It was a pleasure! 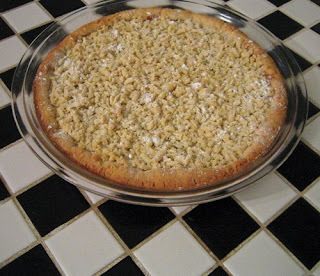 So to make up for the lack of craftiness, I'm posting my Granny's jam tart recipe. 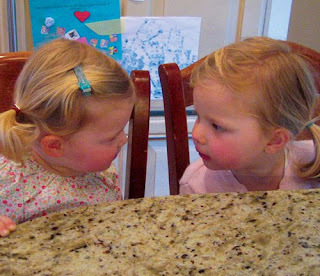 It's a family classic that she served to her tea party ladies and I remember my mom always doing the same. It's yummy, easy, pretty and sure to please. 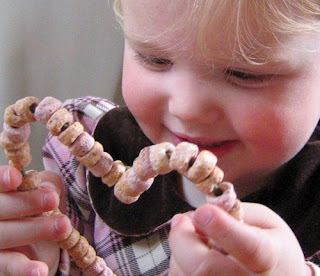 - Cool and dust with powdered sugar, enjoy! In honor of my showcase spot on etsy today, I want to give you FREE things...seriously! So here's the scoop. 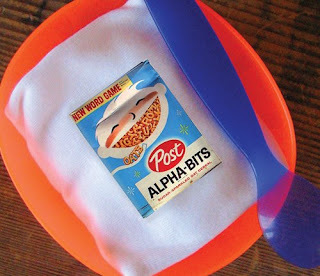 My new line of cereal box onesies is finally available... I've wanted to make them for years! 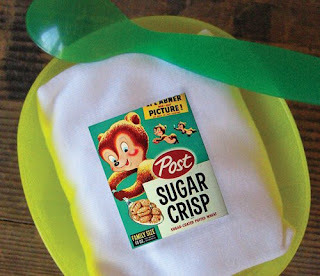 Each one features a very cool vintage cereal box for your favorite yummy baby. They're great for unique baby shower gifts or just for fun. Besides the great illustrations and typography, you can't help but smile at the classic cereal flavors. There's everything from BooBerry, Alphabits and Cap'N Crunch to wholesome favorites like Wheaties. If you're like me, I'm sure you have a favorite from when you were little or at least one you always begged your mom for! On to the freebies - it's super simple. 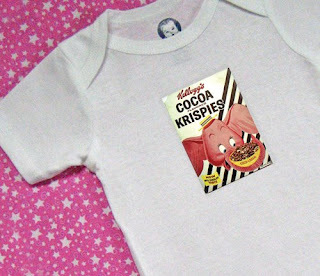 The first 2 people to comment on this post will get a free cereal onesie of their choice from my etsy store (you choose size as well). So don't be shy ( I mean it) and best of luck to you! I have a confession...I love candy. Yes, it's true and I'm not ashamed! 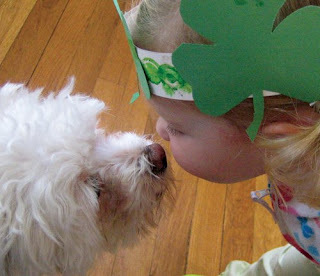 All I can say is a little bit of something sweet makes me happy. It could be worse! So the packaging designer in me is always on the lookout for new or redesigned products and when I see one of the sweet sort I have to give it a go. 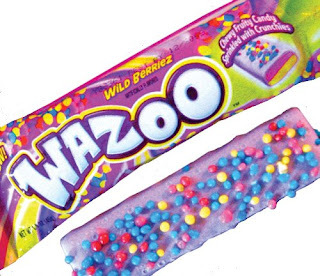 I spied the new Topps Wazoo bar today when I was out buying a non-leaky iron (thrilling purchase, I know) and snagged a couple bars. It's totally unlike anything else on the market, but not the yummiest of treats for me - kind of like a squishier Play-Doh colored Starburst that's covered in berry flavored yogurt with Nerd-like sprinkles. The packaging is really bright, fun and colorful though. It's official - I'm in business! What's bright and happy and looking for new friends? 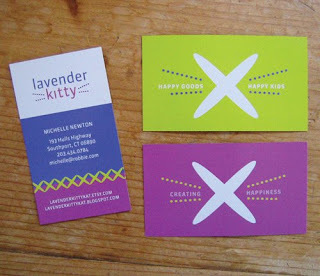 My hot off the press Lavender Kitty business cards! I finally took a moment to design some cards for myself (which is way harder than designing for other people) and am now feeling official. I even made them 2 sided with different backs...hey, it's been a long time coming! 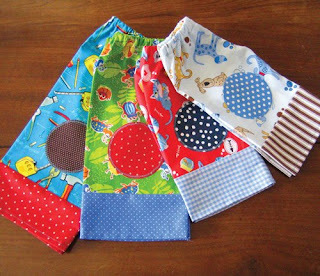 If you love sewing and you're like me, you've probably got a stash of fabric scraps that you can't stand to part with. Seriously, I bought a bag of scraps at a Denyse Schmidt workshop and have been adding to it for years. I think it's growing overnight, but I love them all! 1. 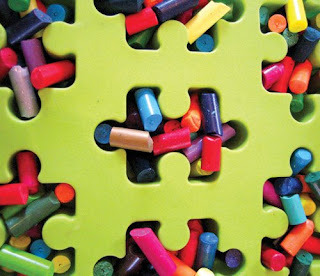 Have fun diving through your scraps and find a few favorites. 2. 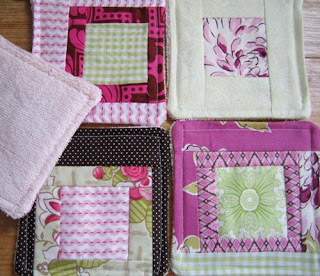 Quilt them into 5 inch squares - there's no rules, so have fun! 4. Sew right sides together, leaving a gap for flipping right side out. 5. Flip and sew 1/4 inch from edge to finish. 6. 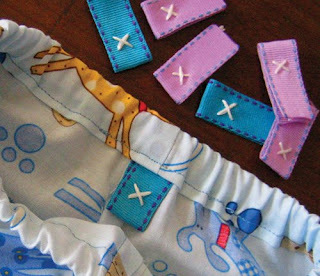 Add a pretty ribbon and give to a favorite friend's baby for bath time. Spring is here - finally!!!! So to celebrate, this week's craft welcomes back the birds. 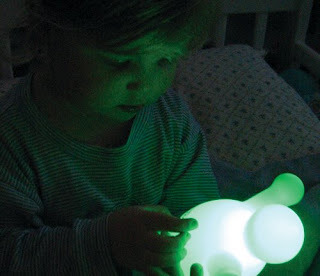 It's super simple and uses things you probably already have in your house. Bonus! 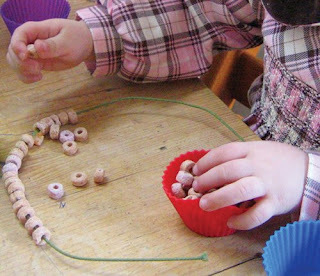 Have kids thread O's onto the pipe cleaner (snacking while threading is highly recommended). 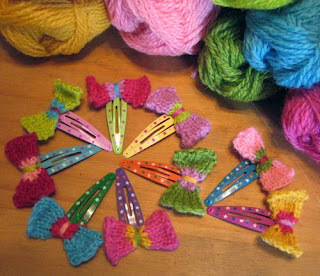 Once there's a bunch threaded on, bend the pipe cleaner into one of your favorite shapes and tie a piece of ribbon or yarn for hanging. 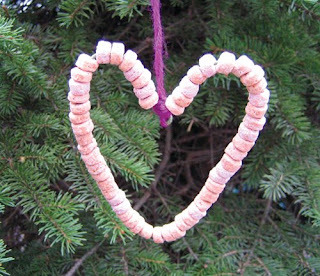 Run outside, have your kids find a great branch and hang up your Chirpy O's creation. Take a few laps in the yard and keep an eye out for the happy snacking birds. My dad is heading over to Ethiopia in a couple weeks, so I thought I'd feature his new font "Hanna". It was designed to generate additional income for an orphanage in Ethiopia. Hanna Teshome runs an orphanage of roughly 140 children in Addis Ababa, Ethiopia. She is an amazing lady with a deep passion for orphan kids as well as innocent kids that find themselves in jail because their mothers have been imprisoned - they are treated as prisoners and are typically sexually abused - it is not uncommon for them to commit suicide when they are released from jail at age 18. 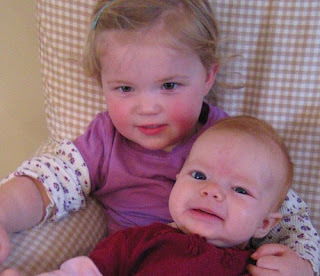 Most of the orphans end up with Hanna because one or both of their parents have died from AIDS. 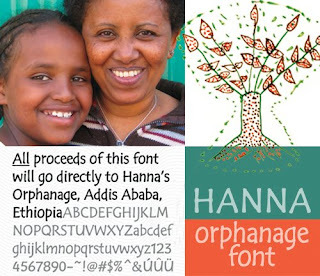 Hanna relies entirely on donations to keep her orphanage running and this font is a small but tangible way to help make a difference in the lives of the orphan kids. Hope it inspires you to think out of the box when it comes to ways of donating to your favorite charity. 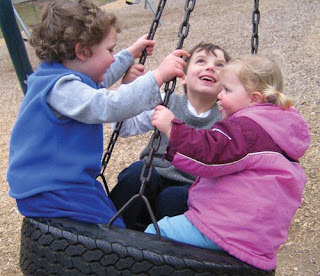 MG and I had a blast at the park this morning with friends, but this afternoon is rainy, rainy, rainy. Hopefully it'll make my garden grow like crazy! So, what to do when it's pouring and you're waiting for Aunt Meg and Baby Ivy to come over? Why drool over some fun stuff online of course! 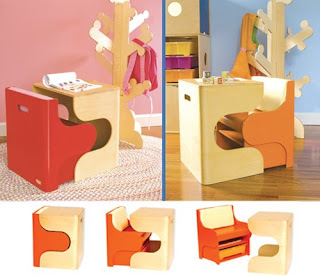 The P'kolino Klick Desk. Talk about great design - it's colorful, modern and doesn't need a lot of space. Plus I LOVE anything that just needs to be closed up to look clean. Wish my whole house was like that! 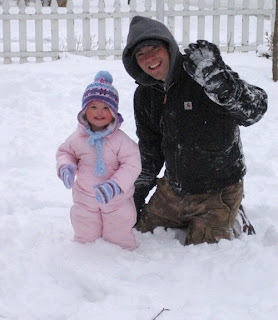 Hope you're having a cozy happy day in your neck of the woods! 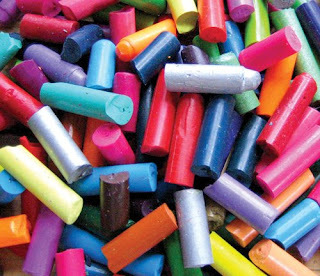 Introducing Crafty Kids - Crazy Crayons! 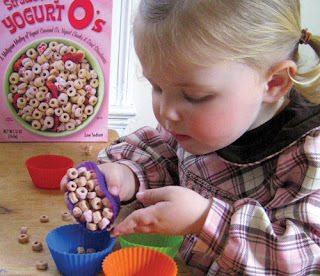 I'm so excited to unveil Crafty Kids - each weekend will feature a free and easy craft project for you to make with your kids. Hopefully it will encourage a bit of family time and a love of art...or maybe it'll help with boredom on a long day...we've all had some of those! 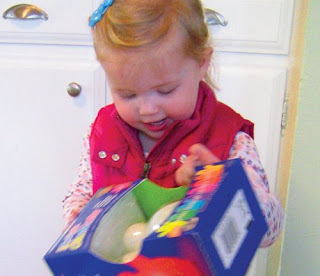 -Pop out crayons and go coloring crazy! Wow, I can't believe we're back to Friday again. Maybe it's my rapidly advancing pregnancy or the upcoming arrival of Spring (we all can hope and dream), but the pace has definitely picked up! I decided to feature a classically based font this week. 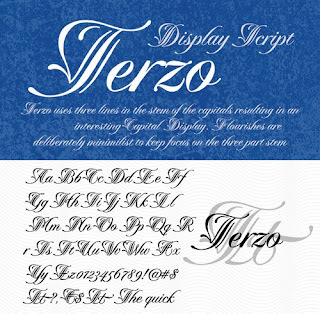 Terzo is our newest addition and I'm proud to say it's one of the featured Hot New Fonts on Myfonts.com. The only reason I can say that is I had nothing to do with it's design - wish I did! Terzo uses three lines in the main stem of the capitals resulting in an interesting display of script capitals. Flourishes are uniquely positioned and are deliberately minimalist in order to feature the three part stem capitals. The overall result is a well balanced and refreshing script that will serve many purposes! Think announcements, wedding invitations, restaurant signage, book covers, etc. If you're looking for a unique script this may be the font for you! Lately I've had kid's clothing and the economy on my mind a ton. 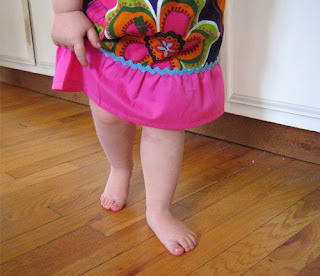 Mostly because it's so expensive to keep little ones in clothes that fit, besides being cute! 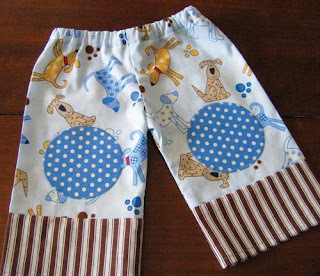 So I've been designing sewing patterns for children that require small amounts of great fabric (fat quarters) but deliver big oomph. 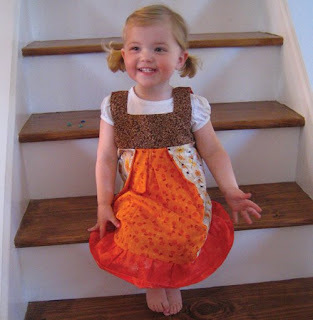 Here's my latest, the Clementine Dress. It's comfy and sweet, plus the dress is cut in a way that should easily last a whole season - nice on the wallet! The pattern will be available in my etsy shop by the weekend (I'm going to burn the midnight oil getting it done, promise!). Also, many of you have asked if I'm selling my dresses, pinafores, etc. Truthfully, I never expected people to ask, but am excited to say that I'll have some in my shop soon. If you're interested, please take a look over the next few weeks. 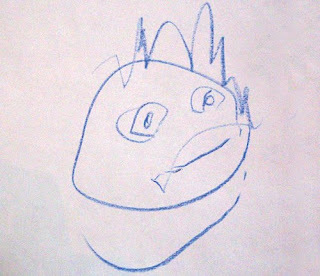 Nothing is more beautiful to me than children's artwork. They have a great sense of style and no fear of what's right and wrong. 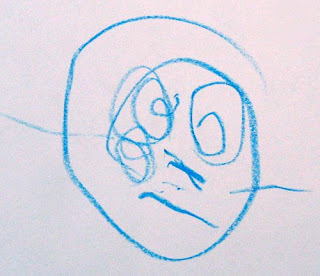 Why not draw an egg with eyes or a ladybug with stripes? It's too bad that most of us grown-ups learn to only create perfect works that serve a purpose or meet a goal. Yes, I'm preaching to myself as well!! So here's a few faces that MG drew this morning (Auntie Lindsay & Beebop - my dad). Hope they make you laugh and encourage you to try a few new things regardless of a "perfect" result. Hey, you never know! I'm a total sucker for fabric, I have it stashed everywhere! So needless to say the Alexander Henry Bolero fabric called my name this weekend in the store. Actually it screamed and made me buy a 1/2 yard - see, technically it's not my fault! Anyway, I wanted to make a no-brain needed sewing project with it for MG. 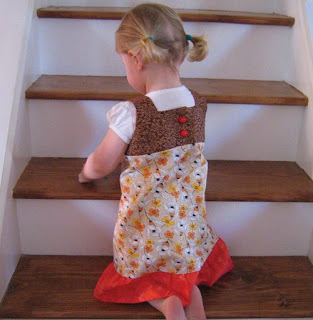 Thank you Two Little Banshees for a great free toddler skirt pattern that's super easy. I used it for inspiration (switched up a few measurements & added rick rack) and was done in under an hour. 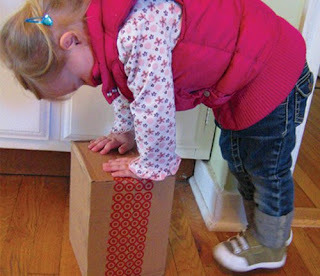 Just enough time for a two year old to play happily before getting bored. Phew! Thanks to Aleta Meadowlark at Omnomicon for the most fun, colorful cake ever!!! I saw this rainbow cake recipe a little while ago and couldn't resist. Let's be honest, I'm not a kitchen guru so I fully appreciate and love folks that are able to make delicious goodies. 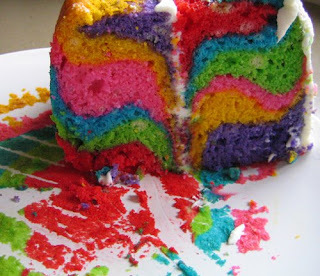 This cake is about my speed...it's easy and mostly involves mixing colors (aka. arts and crafts class). 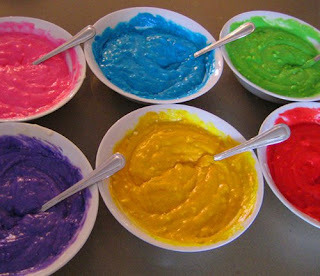 MG and I had a blast squeezing gel food color and mixing insane batter colors. It was messy, delicious and the perfect creation for my friend Karly's birthday. Shh...she's only getting it tomorrow...I'll post another photo once it's sliced. 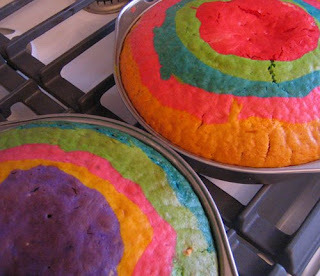 So if you're looking for a little unhealthy, but tasty fun or a great time with your kids, bake a rainbow cake. Trust me, it's sure to bring a smile to all. PS - if you're nervous about the sugar free pudding and diet soda, no worries I skipped them both. 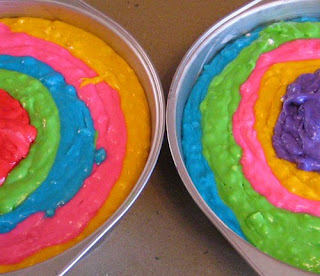 I baked this cake with regular Sprite and it came out just fine. 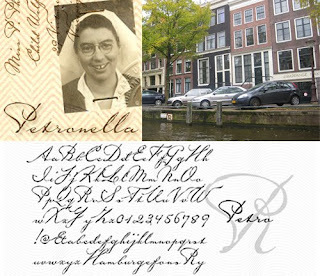 Petronella Rullman was my dad's mom. When she was young she traveled by passenger liner to South Africa to be a nurse and for a bit of adventure. Sounds like a fun lady to me! Anyway, during World War II, several members of my family in Holland and my grandmother in South Africa wrote daily journals to each other describing war time life (the family home in Holland was 4 doors down from the Frank home - as in The Diary of Anne Frank). When they could, they exchanged journals via the International Red Cross in Geneva. While it's impossible to recreate someone’s handwriting, this font is an attempt to capture all the unique and stylish characters that were written with such sure strokes and amazing flare. The capital “P” and “R” in particular are unusually distinctive. I think you'll agree this script reflects an incredibly positive outlook. New xStitch Pattern - Havens! I'm really excited to introduce my newest cross stitch or xStitch pattern - Lavender Kitty's Havens. Nothing in life is more cozy than your own personal haven. Whether it's a little cape, a Brooklyn brownstone, apartment building, farmhouse, duplex, cottage, townhouse, traditional colonial or castle, nothing beats home! 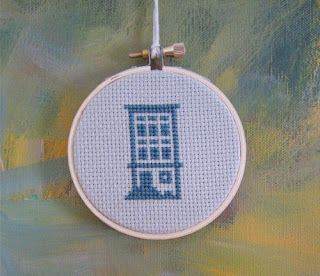 This cross stitch or xStitch pattern includes them all and is a great way to personalize your home. 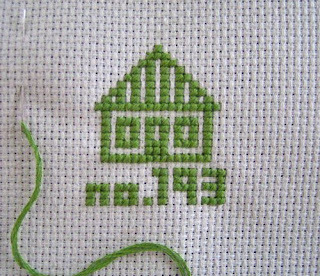 As a bonus I've added the chart for house numbers, should you choose to use them. Each "haven" fits perfectly in a 3 inch wooden embroidery hoop and you can use whatever color floss suits your fancy. 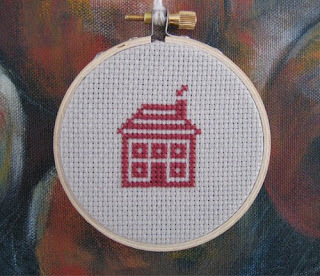 Now I know...I know... cross stitching is old fashioned and not so cool. Well, if you've never tried it, you should. It's as easy as counting and very satisfying. 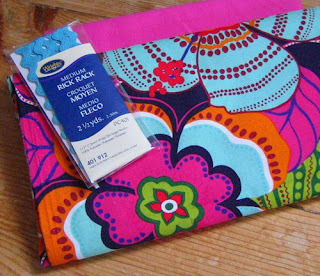 Plus with a pattern as quick as this, it makes great little gifts for housewarmings, hostess goodies and making friends feel special. Who can say no that?! 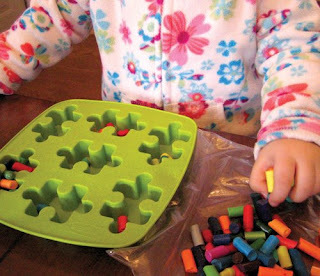 So give it a go and maybe you'll discover something new to keep your hands busy while you're watching tv. Or, if you're like me, while you're waiting for your little one to finish a nap in the car. Story of my life! 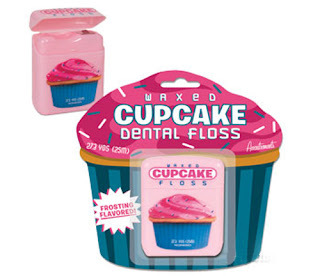 Cupcake floss - need I say anymore?! Finally someone brilliant invented hygiene products for the sweet tooth like me. Hallelujah! So if you have a kid that won't floss or you need a little incentive yourself, this may be just for you. Or...if you're dieting in the hopes of bikinis and warm weather this could satisfy a major sugar craving... who am I kidding, there's no substitute for a yummy cupcake with pink frosting! Happy Tuesday everyone! 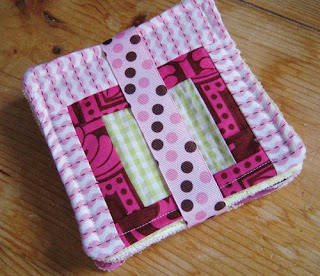 I'm finally getting around to posting some free tutorials / patterns for those of you who are crafty inclined or would like to be. 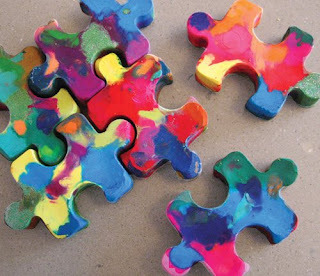 Actually, I truly believe all people are crafty, they just need to find what suits their fancy and go for it. 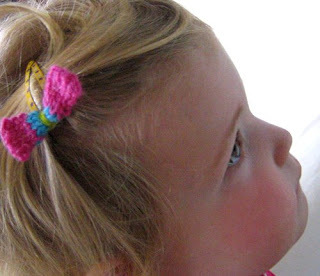 - Using color 3, tie a piece of yarn around the middle of your knitted rectangle. Knot it on the back and ta-da - it's a bow. - You're done, hope you love them! 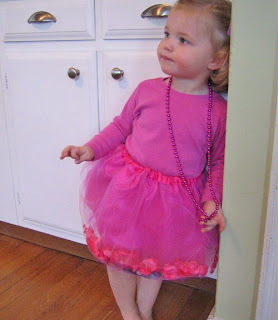 Oo, another bonus happened today - I remembered a super sparkly, very pink tutu I made for MG last Summer. I think I hid it for her birthday or Christmas? Not quite sure anymore. Guess that's what happens when you're pregnant with a 2 year old! Anyway, MG played ballerina to her hearts content and is thoroughly convinced that they play soccer. Could be, you never know? !